Mon Chéri! 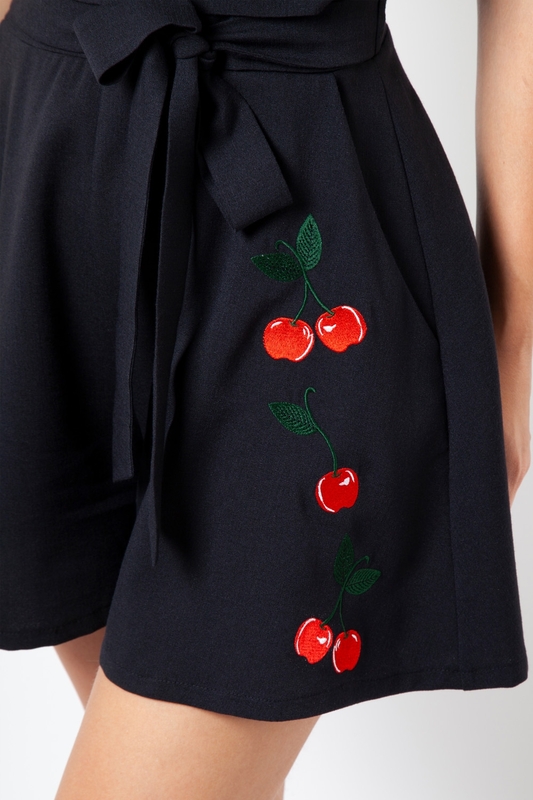 Another instant classic from Voodoo Vixen, the Ariel Cherry Embroidery Playsuit with cherries and flared shorts is your cute go to for the summer! Love the look? Check out the Polly Black Cherry Print Bow Dress for more fruity fun!